Pursue a Career in the Culinary Arts! Changing careers can be possible when the right courses and qualifications are available to help you follow your passion! If you’re looking to pursue a promising career in the culinary arts, wine and hospitality management then why not study at Le Cordon Bleu London? 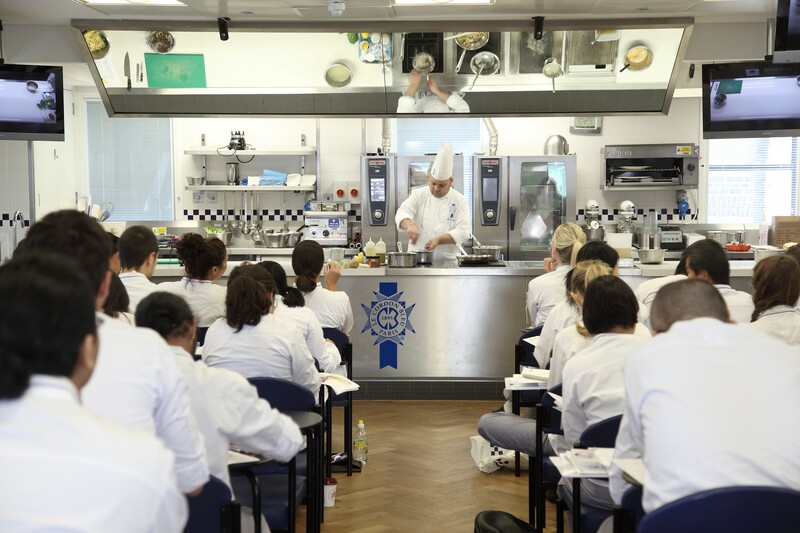 The acclaimed teaching chefs and wine experts of Le Cordon Bleu London train foodies into skilled chefs, sommeliers and entrepreneurs. We offer short course and programmes including the Diplôme de Cuisine, Diplôme de Pâtisserie, the Grand Diplôme® (which is a 9 month programme combining both Cuisine and Pâtisserie), and Diploma in Wine, Gastronomy and Management, as well as the Diplôme de Boulangerie and many more. Studying will enable you to gain fundamental skills and develop your own style in state-of-the-art facilities. During your studies, you will have the opportunity to meet and network with high profile chefs and professionals from the industry through an array of events at our institute. “I was an estate agent in Yorkshire in hopes of becoming a property surveyor. The thought of owning a restaurant had been manifesting in my mind for a while so left my job to work in a kitchen in Leeds. I soon realised that I lacked a lot of the classical knowledge and all the important foundations needed in order to become a chef. I then decided to enrol on the Diploma in Culinary Management programme at Le Cordon Bleu London as I wanted to expand my knowledge into the business and operational side of the culinary world. It has been one of the best experiences of my life!” – James Beadnall, former estate agent who now works at the Michelin-starred restaurant Marcus at the Berkeley.